The process of getting an official state firearm designated is moving along after a PA House vote this week. The bill now heads to the Senate for votes, though I didn’t see anything about it on their calendar. While it’s not exactly priority legislation for gun owners, it is at least of interest to gun owners in the Keystone State for reasons beyond the fact that CeaseFirePA is opposed to it and complaining in the media about it. Pennsylvania’s gunmaking tradition has played an important role in the development of the United States of America. During Pennsylvania’s early history, settlers placed chief reliance on their rifles for sustenance, security and survival. The Pennsylvania Long Rifle, a unique firearm that was different in principle and outline from any other weapon in the world, was developed by skilled gunsmiths in the Moravian communities of Christian’s Spring, Northampton County, as well as by artistic riflemaker Martin Meylin, in Willow Street, Lancaster County. The Pennsylvania Long Rifle was the first truly American firearm and, due to its exceptional accuracy and range, was considered the greatest achievement in the development of firearms during the 18th century. 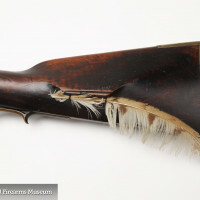 Playing an important role in the early years of the Industrial Revolution in Pennsylvania and New England, the Pennsylvania Long Rifle was also instrumental in the American fur trade and was carried west and south by frontiersmen as they set out to expand the boundaries of the nation. The Pennsylvania Long Rifle has been lauded for its beauty and craftsmanship, as well as the ingenuity of the skilled gunsmiths who crafted it. The color combinations, carvings, engravings and graceful slenderness of the Pennsylvania Long Rifle cause it to stand alone and remain unchallenged as a primary example of early American art. Future generations deserve the right to appreciate the heritage of this long-barreled rifle, born to artistic gunsmiths in the communities of the Commonwealth of Pennsylvania. Perhaps the only interesting “analysis” out of this is that we can compare the votes of 16 lawmakers who were opposed to recognizing a freakin’ muzzleloader that carries the state’s name as the state firearm, but who would get on board with naming a state airplane – the Piper J-3 Cub. These are 16 lawmakers who weren’t opposing wasting time on frivolous votes designating silly “official” recognitions; these were 16 lawmakers so opposed to the idea of a simple muzzleloader being recognized that they voted against it. And yet they wonder why we don’t trust that they’ll stop at seizing our semi-auto rifles? Pennsylvania to Have State Gun? But isn’t it muzzleloaders they keep saying ARE protected by the 2nd Amendment? The Reading Public Muesuem has a nice PA long rifle exhibit that runs through the summer. I thought all they wanted us to own are muskets, since those were the only guns around when the Bill of Rights was written. Why would they have a problem with it? 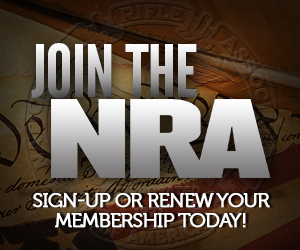 I’m happy to see more states adopting State Firearms! I remember when Utah decided to adopt the 1911 pistol as their official firearm; although it was done to commemorate the 100th Anniversary of a historic gun made by a local gunsmith and used for decades by both military and law enforcement, I still remember the concerns that adopting such a symbol would “promote violence”. To the best of my knowledge, to this day, the adoption hasn’t caused a noticeable change in violence in Utah, or the United States, or even the world. Imagine that! A symbolic gesture to recognize something historic has no measurable effect on criminal behavior! Arizona has the Colt SAA, Texas can have the 1873 Winchester. Actually, Texas should probably go for the Walker Colt…. For Texas, how about the Walker Colt? Yeah, didn’t Josey Wales make good use of the Walker Colt in Texas? Just an fyi but it seems this page is starting to have auto-play ads with audio. That doesn’t lend itself to being kept open and refreshed regularly.